I have yet ANOTHER palette to share with you today, yes another! It's only the end of February and already we've had so many new eyeshadow palettes in both high-end brands and drugstore! It's B.A.N.A.N.A.S, and we love it don't we? 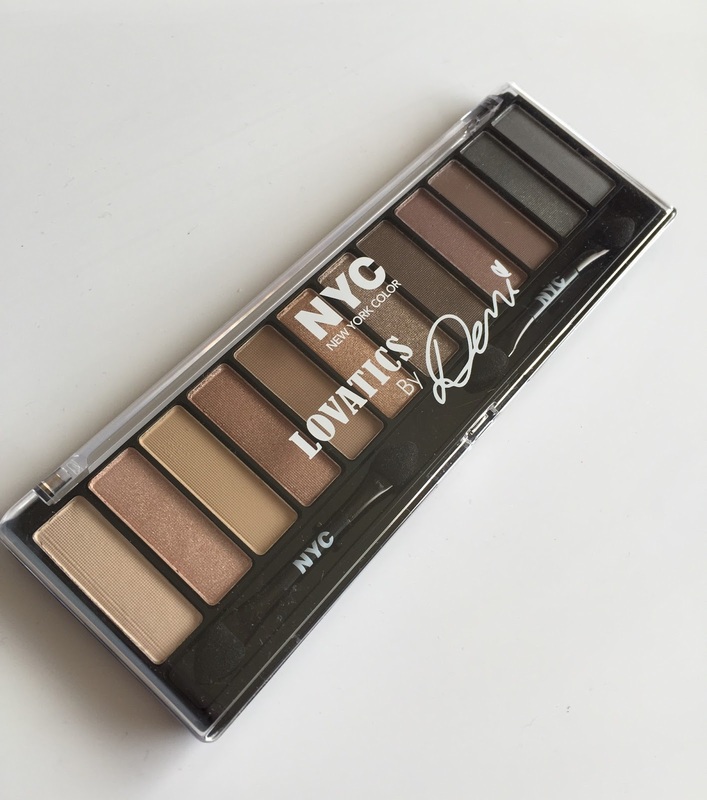 Today we are talking about a very exciting drugstore palette, the NYC Lovatics by Demi. I admit that when I first spotted this at Target I was excited because I did think it was cute and I wanted to grab it, but knowing that NYC can be really miss at times, I put it down and walked away. 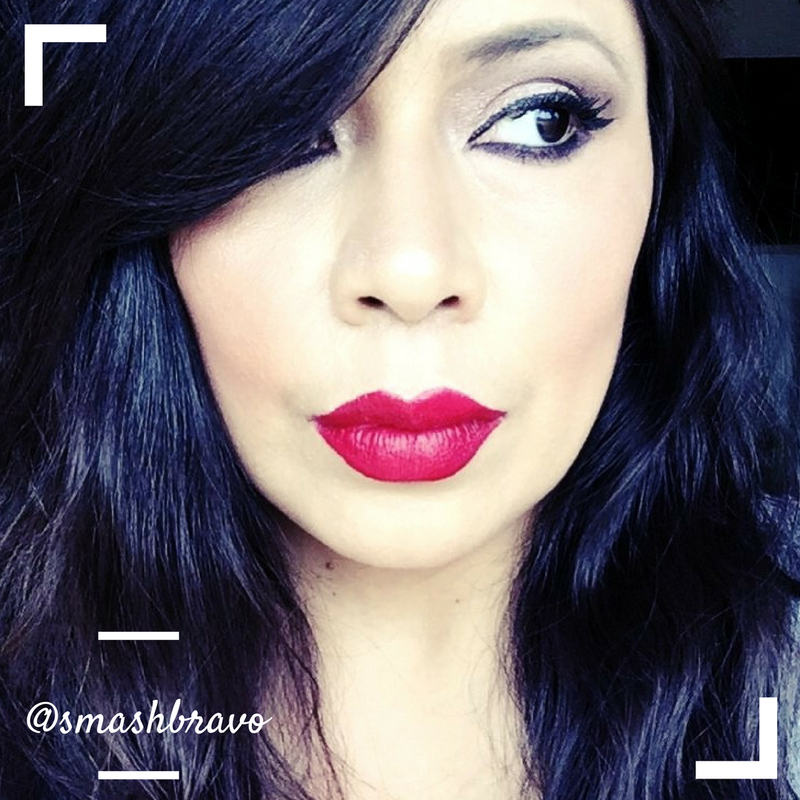 But I did Instagram a shot to my followers saying I would not be getting it and as soon as I did I began to get comments from fellow beauty lovers telling me that they had picked it up and were really enjoying it. By then I had left Target and regret totally set in, so I made sure to return a few days later to pick it up. I am so glad I did! 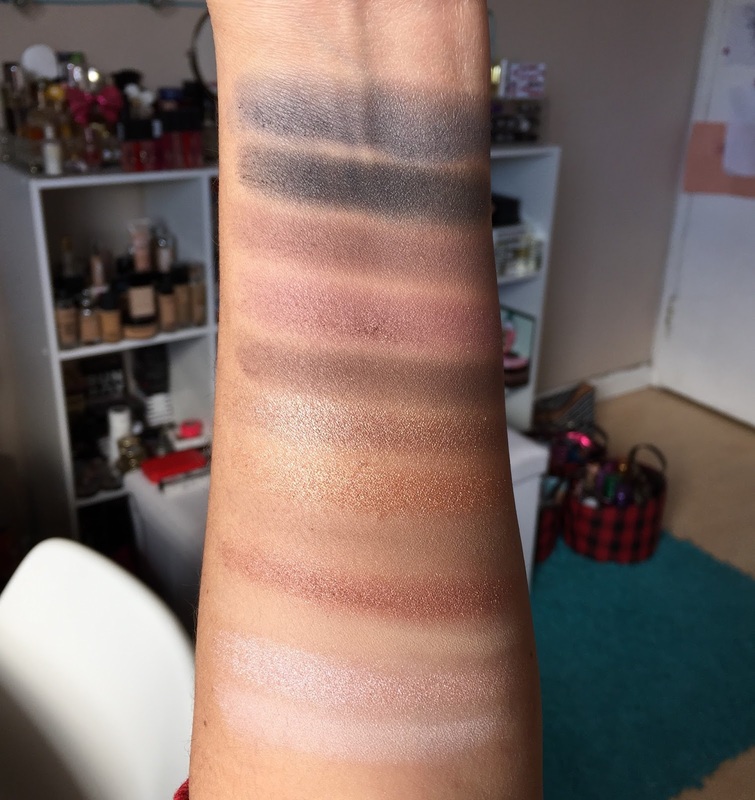 The NYC Lovatics by Demi is a beautiful palette, just look at those shades! The packaging itself is cheapie plastic but that price tag is so low, and I don't necessarily think it's ugly, just plain. The NYC Lovatics by Demi is a 12-pan palette that is once again one of those neutral Urban Decay style dupes for the Naked palettes. I keep hearing people compare it to the Naked 1 and the Naked 2. Not owning either of those, I don't know which one it's more similar to, but I can tell you that this is a great palette, especially for the price! I paid $6.99 but afterwards I saw it for $4.92 at Walmart. You read that right, $4.92! Is that cray-cray or what? With a variety of finishes and (warm and cool) shades this is one of those palettes that gives you so many options in-one. 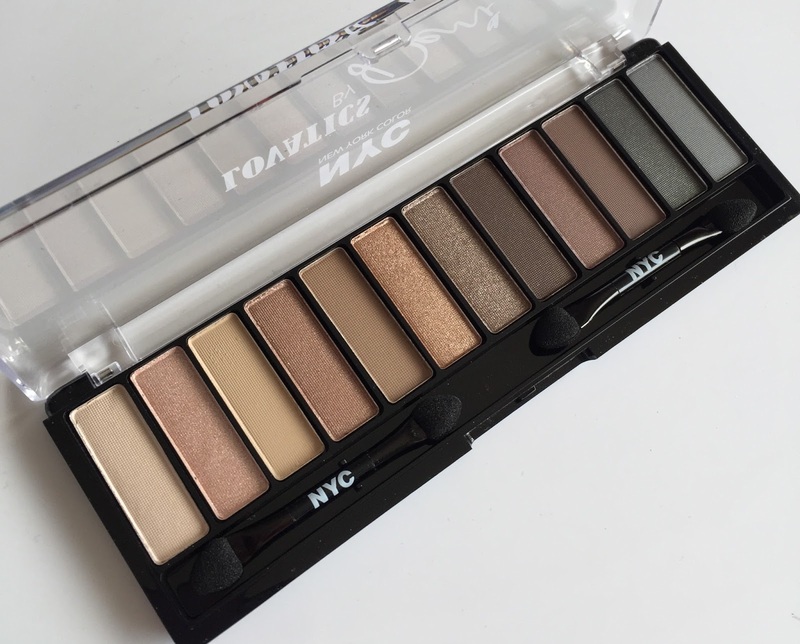 I am more of an eyeshadow newbie which makes this a perfect palette for someone like me, but I can also see this as being great for those of you that have mastered the art of eyeshadow application. 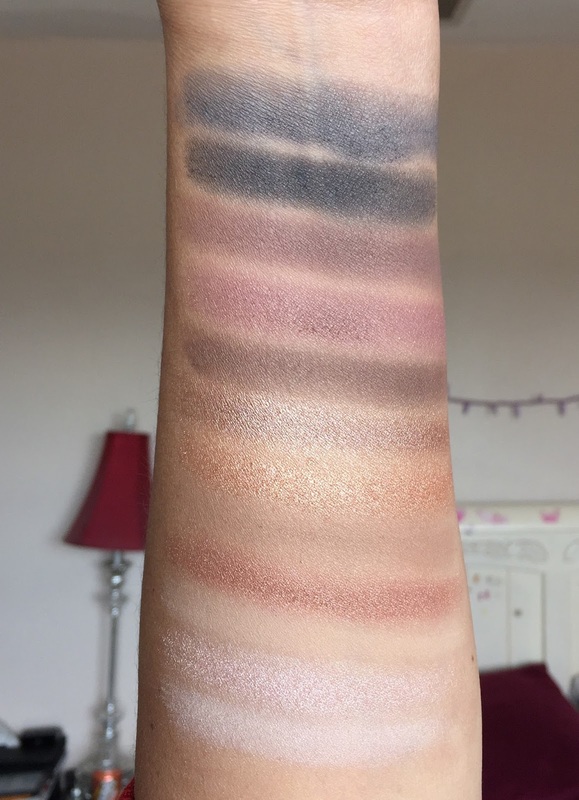 The shadows are so pigmented and soft, I was super impressed when I first swatched it and had to actually say, "OH!" when I first ran my finger through them. I totally wasn't expecting that. I own one NYC Palette that's not the greatest, so I wasn't expecting too much from this one, but NYC stepped their game up with the Lovatics fo' sure! I have used this twice now and find the shadows very easy to blend and the staying power is there for sure as well. I have heard a few complaints about fall out but I got very little of that. As you can tell, I am a fan of the NYC Lovatics by Demi. After trying quite a few items that were total misses from NYC, I am happy to have found such a gem. And I do enjoy a lot of NYC products, don't get me wrong, I love their polishes among other things, but it's too hit-and-miss with them for the most part. Luckily, the Lovatics by Demis is a whole other story. 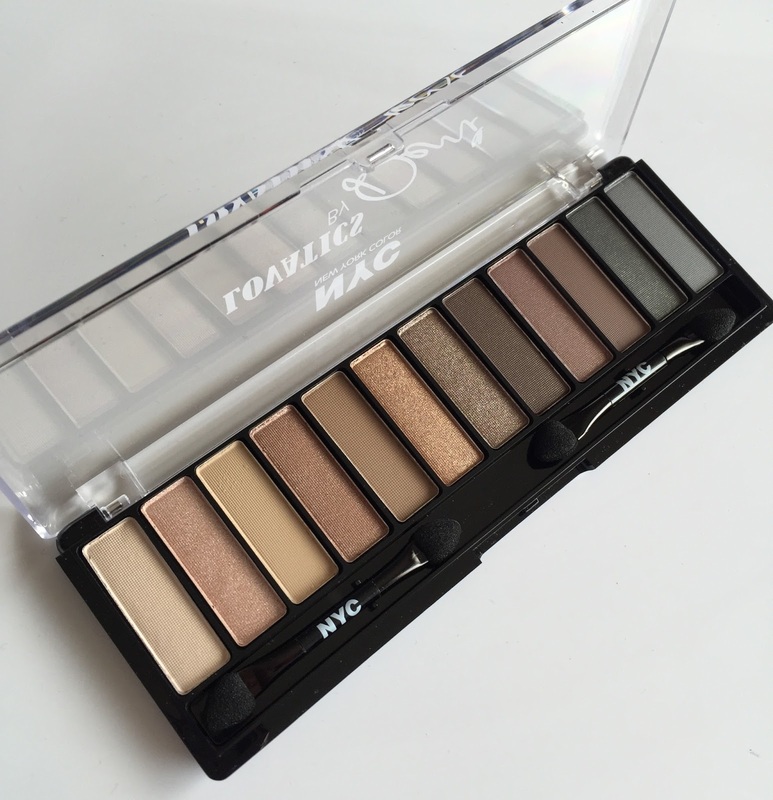 If you enjoy drugstore makeup and are in "need" of another neutral palette, I suggest this one for sure.